VisitScotland has led a delegation of 15 Scottish partners at IMEX America in Las Vegas, taking place this week, with a focus on Scotland's sustainable and green credentials. VisitScotland believes it is becoming more and more important to demonstrate sustainable and green credentials to the industry. It says the meetings industry is also very important to the sustainability of Scotland's tourism market as it supports the shoulder seasons either side of the busy summer tourist months. Neil Brownlee, head of business tourism at VisitScotland, said: "America is a hugely important market for business tourism in Scotland and Imex gives our partners an invaluable opportunity to meet event organisers face to face. 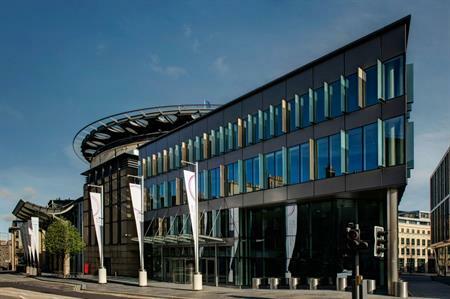 Collectively over the course of the three days, they will fulfil hundreds of appointments, while VisitScotland’s Business Tourism team will be showcasing the many world-class venues and hotels we have in Scotland. This year, there will also be a strong focus on Scotland’s sustainable and green credentials." The national tourism organisation’s Business Tourism team is hosting a stand at the event and is joined by representatives of some of the country’s biggest hotels and venues, as well as Glasgow City Marketing Bureau and Marketing Edinburgh. Among the Scottish partners at IMEX are Gleneagles, scene of Europe’s recent Ryder Cup victory over the United States, the Old Course Hotel Golf Resort & Spa in St Andrews, Cameron House on Loch Lomond, Aberdeen Exhibition and Conference Centre, Edinburgh International Conference Centre and the Scottish Exhibition and Conference Centre in Glasgow. Around 20,000 people are expected to attend the event, held over three days and taking place at the Sands Expo & Convention Centre. The show opened on 14 October. Giving Scottish businesses the opportunity to hold important face-to-face meetings with influential event organisers from North America, last year’s IMEX America activity generated around £13 million worth of enquiries for Scotland. VisitScotland also co-hosted an evening event with London & Partners, complete with Scottish music, giving partners a further chance to generate business.